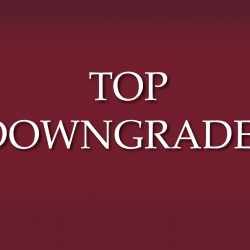 In a report published Tuesday, Longbow analyst Dmitry Silversteyn downgraded the rating on PolyOne Corporation (NYSE: POL) from Buy to Neutral, saying that the revenue headwinds were "too numerous to overcome" in 2015. Analyst Dmitry Silversteyn believes that that investors are unlikely to revalue the company's shares higher "until organic top-line growth materializes, which may not occur until 2016." PolyOne's results indicates a slowdown in industrial segments in EMEA and North America and "confirmed our belief that CA&I may see positive organic growth," at 2 percent y/y in 2Q15 ex-currency, Silversteyn said, while adding that the "cautious outlook on RM benefit was also corroborated by POL." The company significantly reduced its 2015 EPS and implied lower 2016 outlook. This, together with the lack of organic growth in the back half of this year, suggest that PolyOne's shares could be "range-bound" over the upcoming 3-6 months, as "positive margin surprises no longer seem enough to drive higher multiples in the absence of sales growth," the Longbow report stated. The EPS estimates for 3Q15, 2015 and 2016 have been reduced from $0.60 to $0.52, from $2.24 to $2.02 and from $2.65 to $2.35, respectively, to reflect lower sales assumptions.